Domestic equities made a firm start to the truncated week, extending gains for the third straight session as spectacular gains led by Reliance Industries and other frontline stocks helped key benchmark indices overcome the otherwise sluggish-to-weak Asian markets trend. 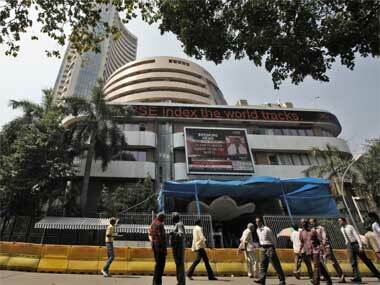 On Monday, the 30-share BSE S&P Sensex closed at 27,364.92, up 150.32 points, or 0.6 percent from previous close. Intra-day, the index rose 173 points to touch the day's high of 27,387.91. 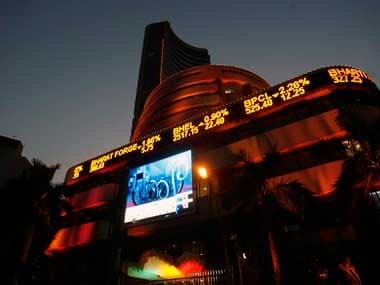 Including today's upmove, the Sensex has notched up gains of 585 points in last three sessions, mainly driven by firm global markets sentiment and change in stance by the FIIs which have turned net buyers of local shares in October so far after liquidating shares in the preceding two months. On Friday, overseas investors were net buyers of local shares of Rs 437 crore, taking the total investment to Rs 3,500 crore in the current month so far. This comes in the backdrop of a steadily improving domestic economic scenario reflective from the impressive manufacturing numbers for August and further cooling off inflation in September. Globally, World Bank and IMF, too, in recent times have endorsed the India's strong growth resilience, especially, in an extremely sluggish global economic scenario. However, other Asian indices today faltered with Japan's Nikkei dropping 0.9 percent, while China's Shanghai Composite ending 0.1 percent lower even as Hang Seng ended a tad higher. This despite China's economic growth slipping below 7 percent for the first time since global financial crisis came into picture. As per the National Bureau of Statistics, the world's second-largest economy grew 6.9 percent between July and September from a year ago. Back home, shares of Reliance Industries led the upsurge, surging nearly 6 percent to end at Rs 963.40. On Friday, post the market hours Reliance Industries in its earnings announcement said its second consolidated net profit jumped 12.52 percent to Rs 6,720 crore as against Rs 5,972 crore in the same period of 2014-15 fiscal. RIL said its total income declined to Rs 70,901 crore during the quarter, compared with Rs 1,09,797 crore in the year-ago period. The company's expenses, it said, have declined to Rs 63,368 crore from Rs 1,03,003 crore. Among other gainers in the Sensex pack, Bharti Airtel rose nearly 4 percent to Rs 363.70, Sun Pharma advanced 1.8 percent to Rs 905.45, Infosys gained 1.7 percent to Rs 1,112.20, Dr Reddy's added 1.6 percent to Rs 4,330.95 and Cipla was up 1.2 percent at Rs 687.10.